We return to our normal, non-Snow Leopard-specific coverage next week. You can continue to follow http://cdm.link/snowleopard for updates. In the meantime, I offer this editorial. I’m going to make this as straightforward as possible: I recommend running the current Mac OS X 10.5 over other versions of the operating system, including 10.6 launched today. The experience of an operating system is the sum total of performance, compatibility, and reliability. The best way for Mac users to guarantee that is to stick with Mac OS X 10.5. However, there are very few scenarios that are likely to benefit from upgrading today. Nearly all software developers (Propellerhead, Avid, Ableton, Plogue, and Native Instruments) advise waiting as support stabilizes. A number of hardware issues (Digidesign, M-Audio, Tascam, PreSonus) are known to exist, and many more likely simply haven’t responded this week to our call for information. Other hardware and software issues are likely to be uncovered now that the final OS build is available for widespread testing by end users. Also, while Apple’s own software (Finder, Mail, and other apps) appear to get performance improvements, and startup/shutdown is better, the advantages of new OS services aren’t likely to be realized immediately. In fact, even measuring what the difference will be may take additional time. Compatibility issues should be resolved fairly quickly – which is even more reason to wait. PACE Anti-Piracy, for instance, works now, as does software and hardware for MOTU. Other updates should be available in a few weeks with enhanced compatibility, making that a better time to upgrade. If you’re looking to reclaim hard drive space with a smaller OS, I recommend Monolingual. 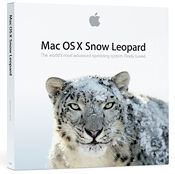 By removing PowerPC-native code from Intel systems that don’t need it (or visa versa), it offers the same significant disk space improvement available in Snow Leopard. (Clarification: It should achieve similar net results, though Snow Leopard nips and tucks in a different way – cutting PowerPC but adding 64-bit, while reducing elsewhere – see David Pogue in The New York Times. But that’s academic – if you need extra gigs, you can get it both ways, and I expect we’ll eventually see Monolingual on Snow Leopard, too.) It also removes extra languages you don’t need to save space – something even Snow Leopard doesn’t do. I was able to nearly halve the size of my OS install using the tool, the same gain claimed by Snow Leopard. And it’s free. This advice doesn’t mean that Snow Leopard is a “bad” operating system – just that the OS is currently ahead of the other pieces you need to make it useful for music. Developers are largely talking about new updates in “weeks,” not months. Another way to look at it: Snow Leopard might run just fine for you today. But it’s almost certain that it will run better – and fully supported – in a few weeks. Stay tuned. That said, just as 10.6 is coming out, 10.5 is maturing. Ableton notes that the latest version of 10.5 is recommended for maximum graphics performance. Native Instruments now considers 10.5 its officially supported operating system. As you’ll recall, early builds of 10.5 offered a very rough road for audio, as it contained more significant under-the-hood changes than 10.6 does today. Audio and music applications simply acheive their best results on fully-mature operating systems, and they tend to require more extensive testing and tweaks by both the operating system vendor and third parties. If you do like being on the bleeding edge, more power to you. If you encounter issues, let us know about them, and that may help get them resolved more quickly. So… relax. And enjoy your weekend.